Organizations that are large or small, public or private, local or international, facing unprecedented challenges to support critical business initiatives in the dynamic business environment. Users are now scattered in many places; they bring their own mobile devices to work and expect IT to deliver fast and efficient services as well as support for those systems. It is now possible that organizations achieve IT effectiveness without cutting the service levels by the adoption of a System Management strategy. 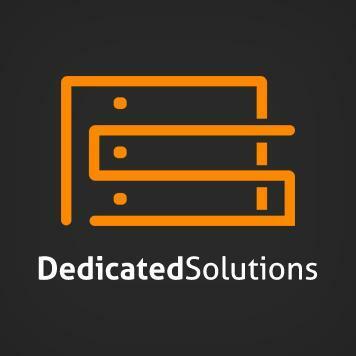 DedicatedSolutions provides you with the best-dedicated server hardware in our multiple data centers across the globe. If you have not decided yet how to build your Infrastructure, the below four steps can help companies improve the efficiency of the different processes of production, sales and administration; reduce costs and increase their competitiveness through the use of our managed services, information and communication technologies. See your network from a whole new perspective of the strategy of IT systems management of an organization depends on the discovery process. Managers must know what components are on the network, how assets are performing, who is not in compliance with IT policies and what to do to comply again. Unfortunately, the inventory lists do not always agree with reality and systems often fall into oblivion. DedicatedSolutions provides visibility to all IT environment assets to collect and update management data automatically in real time. Although new assets enter the environment through acquisitions, lifecycles of IT, mobile workers or policies and other can be managed by our custom solutions. On the other hand, whether you remain connected or not, DedicatedSolutions predefined applied policies on the new system stores the information in a central repository that can be used to provide proactive maintenance, providing solution and produce reports and alerts on any changes for administrators. Today, most organizations require operations around the clock, seven days a week, but traditionally, the management of IT systems has become a decentralized manner with product manuals in multiple processor points that are far from providing general availability. Administrators can perform maintenance and typically keep the systems in operation, but the work is hardly consistent between systems and usually is not documented and is performed manually. 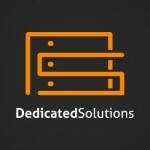 DedicatedSolutions provides a unique framework where you can perform administration tasks remotely from anywhere consistently. Administrators can handle groups of machines by type, operating system, platform, department, geographical location or virtually any other distinguishing characteristic. Combined with visibility into all IT assets and behavior systems, this accessibility allows policies based management systems. Administrators can set, monitor and update policies from a central console and leave them to machines distributed in the environment. Systems can fit in multiple groups and meet with various policies. It creates a focus on system management, which enables organizations to maintain a consistently healthy IT environment and with minimal impact on users. Many organizations already have some automation in their IT environments, usually in the form of monitoring and alerting. Usually, when there is an issue with any system components in the infrastructure, a flurry of emails sent to the IT team. However, you and an administrator cannot manually create a ticket and solve a problem. Regular maintenance is also done in much the same way – task by task, machine by machine. The custom solutions and managed services of DedicatedSolutions can automate IT tasks that are recurrent such as patch management, the operation of software and implementing solutions and analysis of the cause. Our 24*7 Help Desk provides relevant performance information to managers as they are working on solving a problem and can even solve problems automatically without manual intervention. The result is that management of IT is possible using a minimum amount of resources. Simultaneously, automation allows regular maintenance of organizations tasks to improve IT service levels, expand capacity and meet needs of new business initiatives while reducing costs. IT services that are providing management of IT tasks are one of the most important functions, but it is also inconsistent and consumes a significant quantity of time. Rather than being viewed as a cost center, IT needs to show the contributions they are making to business and the value of supporting business goals and initiatives. DedicatedSolutions provides the platform to collect data relevant from distributed systems management, store the information in a central repository and report them to the concerned person. Because different audiences require various levels of technical detail, customizable reports of DedicatedSolutions ranging from executive summaries to snapshots system and detailed historical reports. And because data have already been collected in real time and have managed centrally, time to compiling reports is minimal. DedicatedSolutions gives IT organizations the visibility and control they need to manage effective and efficient distributed systems. Automation streamlines maintenance and troubleshooting to improve user productivity without increasing IT costs. Administrators can then leverage the visibility and control to validate the results, and the management can take advantage of the information to make accurate decisions. Our integrated platform consolidates all aspects of apparatus under a single administrative panel, standardizing maintenance, monitoring and troubleshooting across the organization. This entry was posted in DedicatedSolutions, Hosting Services, Managed Services and tagged DedicatedSolutions, IT services, Managed Services, Security, system management on January 18, 2016 by marketing. Some organizations are hesitant to outsource the management of their hosting to a specialist provider, but it can provide many benefits if you do so. Unfortunately, some misconceptions deter organizations to choose a Managed Service Provider (MSP). In this blog, we refute some of these misconceptions. People often think it is costlier to outsource the management of their hosting to a managed service provider than to do it yourself within the organization. Where often inadequate about being considered is that it often costs more money to take their own qualified people who can do this work. Furthermore, these people are hard to find, because they are very much in demand in the industry. To cope with illness and leave, you need more than one person needed. These people must be continually trained by the rapid changes in the market. When choosing an MSP, you can rest assured that there is always someone who solves the work for you, when you want. You save on recruitment and personnel, and you can be confident that the work is performed by a multidisciplinary team of experts. It is often thought that managed hosting is only intended for large organizations because thousands of dollars per month would cost to manage the services. One of the main features of a managed hosting provider’s is to offer this scalability and, therefore, affordable solutions for both small and large organizations. MSP provides efficient, clear communication and can provide customer-friendly services at a competitive price. Some organizations believe outsourcing of hosting is only possible when one outsources everything. It is not real because you can also choose to outsource some and keep some in-house. You choose which services you want to reduce the service level that suits your organization. Before remote access, monitoring needs, and redundant cloud platforms were common, companies have their own location and its own staff possibly for better service. Today, this is largely superseded by the use of remote access cards, virtual consoles in cloud platforms and the redundant hardware infrastructure. Incidentally, this does not mean that your own IT staff is redundant. On the contrary, many managed service providers work correctly closely with the staff of their clients and possibly also with third parties, such as developers. Organizations that extend the knowledge of their employees with the expertise of an MSP, often see an increase in the performance of their online business. By working as a team together, the strategy of the organization is managed, and the MSP provides the service and support. Many different parties managed hosting market, where prices vary widely. The term “managed hosting” is frequently used, but the service is supplied varies between suppliers. For a few bucks per month, you will, of course, get a different service than if you have a few hundred dollars a month to spend there. So it is important that you clearly have what you want exactly when you choose managed hosting. The above misconceptions are just some examples of arguments that come forward not to opt for a managed service provider. If you choose managed hosting does it not mean that your platform and applications to be hosted on the infrastructure of the MSP. DedicatedSolutions understand that each organization has different needs and requirements. We offer Custom Solutions that has a different focus and a different level of support. From a simple web server up to complex enterprise solutions such as database clusters, terminal server and communication software – we got you covered! 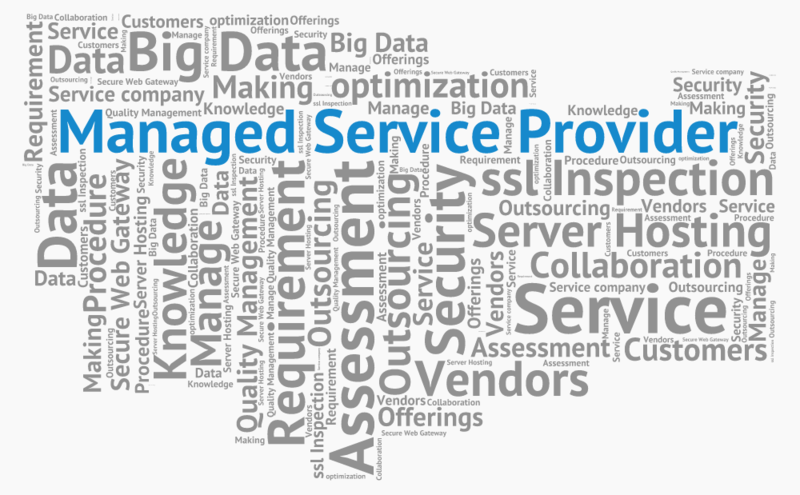 We also offer custom consulting and implementation Services as part of our “Managed Services” offering. Our network delivers 100% Uptime Guarantee with the best service to our customers while keeping the costs for our customers as low as possible. Through the combination of Tier III & Tier IV data center facilities, the ability to offer our customers multiple 10 Gig pipes at each location and only providing the best hardware possible, we can truly offer a 1000% uptime – guaranteed. This entry was posted in DedicatedSolutions, Managed Services and tagged Custom cloud solution, custom solutions, DedicatedSolutions, Managed Services on January 11, 2016 by marketing. The Data Center is one of the main topics of discussion at meetings of IT equipment worldwide. It is crucial for a company to work more efficiently and generate profits as firms rely heavily on an enormous amount of information stored in data processing centers. In this way, organizations are still trying to reduce costs through simplification and improvement of Data Centers. Initiatives such as migration, deployment and Infrastructure as a Service (IaaS) are some of the first steps taken by the CIOs to increase the efficiency of data storage on a Data Center. The role of a data center in the designing, deploying and managing services play a crucial role in receiving high-performance results. The data centers are enormously important in the present day for companies acting as e-commerce and sales, healthcare or any other business that depend on the systems to access patient information. To get an idea of the data center importance, 20% of data stored in data centers in the coming years will be linked to digital patient records. It will enable a surgeon to access information from a patient in the operating room itself or ambulances that have access to accurate data during a rescue. With each passing year, data center brings many changes, developments and new technologies, especially in the area of storage and servers. For example, to support the new virtual environments found in cloud computing applications, it is necessary that data centers should provide tools and support energy with a dynamic, virtualized environment. lack of standard operating procedures (SOPs), operations maintenance protocol (MOP) and emergency procedures. The data center is a critical component of any IT department. Therefore, it is essential that data center is designed to deliver services flexibly and dynamically, following the currently required technology and sustainability trends. Two essential characteristics of a data center are flexibility and scalability. These are necessary for almost all business activities currently online. Therefore, data center projects should be designed with an appropriate infrastructure to support all services and enterprise systems, so that it allows the perfect operation of the center and deliver future growth through adaptation to emerging technologies. The modern data center infrastructure is designed to increase efficiency through lower energy expenditure, thus optimizing costs and security. These data centers meet some guidelines that the IT team can trust to mitigate system downtime. The service providers should be alert to improve the performance of data centers. Ensuring the physical protection of the site by building walls, doors and window to provide additional security against natural disasters. With many years of experience in the design and successful implementation of Data Center projects, DedicatedSolutions has helped many public and private organizations to transform their communications infrastructure and investment in IT infrastructure. 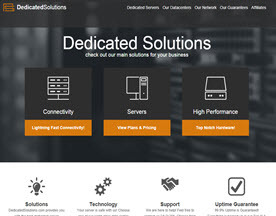 DedicatedSolutions offers high availability and 100% uptime guaranteed! Your server will be hosted in a Tier III or Tier IV data center based on your choice. All data centers are SSAE16 certified, as well as PCI conform. Since we have multiple carriers at each data center location, we can guarantee you an 100% uptime on all our network connections! Besides the uptime, we also guarantee and warrant you that you will have unlimited bandwidth with our unlimited solutions. This entry was posted in Data Centers, DedicatedSolutions, Hosting Services, Managed Services and tagged Data Centers, DedicatedSolutions, Managed Network, Managed Services, virtualization on January 4, 2016 by marketing. One of the main challenges for any company in any sector and at any level is how to reduce costs. Proper use of the right technology at the right time, can help achieve significant savings in different areas of the organization. The consolidation of infrastructure, migration of legacy technology and outsourcing services, among others, can reduce or avoid costs in you. With the consolidation of your infrastructure, you can harness the power of the cloud. Some of your heavy applications get migrated to our platform when you will get the security and performance required for each load job. Similarly, these platforms provide outstanding scalability for Big Data solutions, because it can search Hadoop in one secure partition, adding virtual machines that are necessary to solve complex problems in real time. The second key is focused on the migration of your products to a private cloud that offer the experience of all solutions on a single platform, with security features, predictive performance, and scalability. You will get an environment that allows the flexibility of virtualization as standard, with specific resources to improve applications performance. The outsourcing of different processes can optimize existing assets, improve service levels and meet compliance requirements and quality on a provider that delegate some functions and data that is critical or not critical to the business. Our consulting services offer data center and cloud transformation services, planning, design and implementation of data center transformation, automation systems, administration and corporate data storage and servers, among others. Customers can get more value from their applications, and take a giant leap in productivity (and savings) to regain control of their suites. Demand for custom applications and real-time responses increases complexity, duplication and encourages a lack of skills evident in many companies. It is better to use models such as SaaS, Infrastructure as a Service (IaaS) and Platform as a Service (PaaS) like ours to give a company the flexibility required without incurring the costs associated infrastructure modernization and licenses. It is important that solutions are characterized by having the best quality of identification, security monitoring and geolocation so that companies can rely on the protection of data and physical assets. To know what kind of tools meet the basic safety requirements, we offer dedicated server hardware and cloud computing engineered to the highest performance standards. Our custom solutions and support for private clouds, disaster recovery, business continuity and high availability provides the high performance hosting infrastructure behind diverse organizations in various countries worldwide. As you can see, companies can improve the efficiency of the different processes of production, sales and administration; reduce costs and increase their competitiveness through the use of managed services, information and communication technologies. As an added value, its use is also very relevant in finding and communicating with suppliers and customers. This entry was posted in Data Centers, DedicatedSolutions, Hosting Services, Managed Services, Private Cloud and tagged Custom cloud solution, custom solutions, Data Centers, DedicatedSolutions, Managed Services, Private Cloud on December 29, 2015 by marketing.